Ticket to Ride - in the bus lane in Italy!! 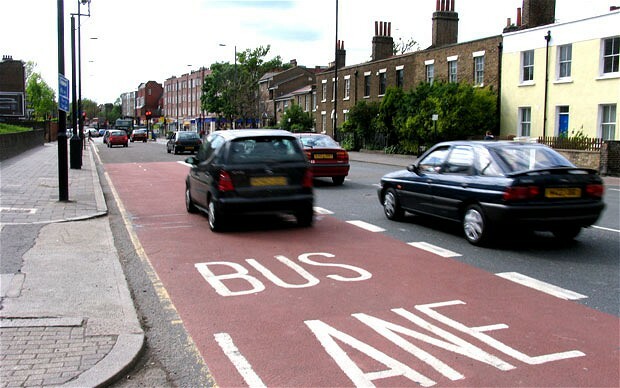 The caption of this post should have read: Ticket to drive in the bus lane. But I kept it unaltered for it is the title of the once famous Beatles song: Ticket to ride!! For ticket here is not the bus ticket, but the traffic violation ticket by the police. I have in one of my earlier posts 'Caught on camera' talked of my traffic violation in Germany, for which I was fined € 20. And that was almost a year ago when I visited Germany in 2014. 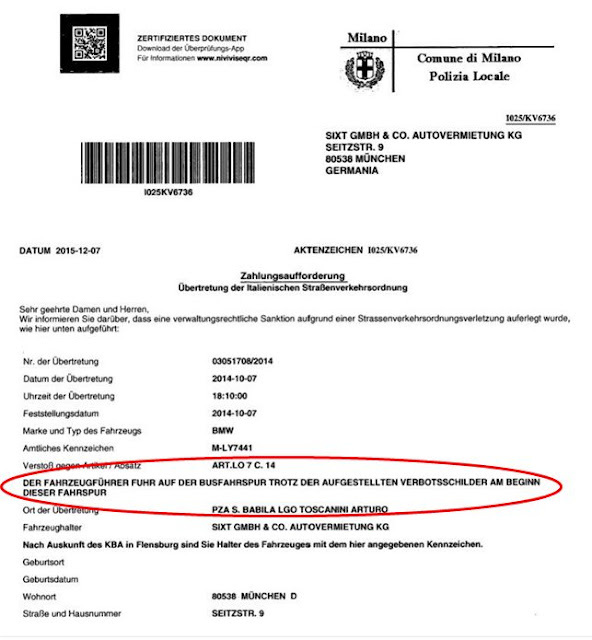 But just today, almost fourteen months after my visit to Germany and some of the Schengen countries including Italy, the travelogue of which I was about to share, I received news from the company from which I had hired a BMW to travel to Switzerland and Italy that I have been fined € 20 - wow, yet again. Previously my 'crime' was travelling at 60 kmph while the speed limit was 50 - and this time my violation reported is: Driving in the bus lane despite the display of cautionary sign at the start of the the bus lane. So this is yet another 'ticket' to ride - this time from Italy. And the interesting part is that I did the violation on 7th October 2014 in Milan - Italy, but the ticket has arrived me through the car company I hired dated 15 December 2015. Thus, this goes without saying that if you happen to be travelling in Europe and driving, be mindful of all traffic signs and parking instructions as no one is spared over there even if the violation is of a very minor nature. One of the many hazards that one faces is the language - almost all signs and warnings are in local language and one cannot decipher these unless caught and translates the ticket into English. So be mindful of the rules before driving in European countries.